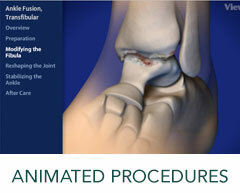 Image Free Computer Surgical Navigation for TKR - Princeton Orthopaedic Associates, P.A. Computer surgical navigation is an advanced technique being used for more and more orthopaedic procedures to effectively replace damaged joints through a safe, minimally invasive procedure. It is now often performed for total knee replacement to help the surgeon achieve more accurate results for improved performance after surgery. When performed image-free, computer surgical navigation uses infrared cameras to provide extremely precise measurements for implant size, type and placement, in order to achieve improved post-operative alignment of the prosthetic device. This robotic-controlled system places markers throughout the joint to determine the positioning, and then replaces the joint with surgical instruments just like the traditional procedure. Patients can benefit from improved mobility, function and stability after surgery with computer surgical navigation. Our advanced system is compatible with all kinds of knee implants and offers patients long-term, highly effective results. To learn more about our Image Free Computer Surgical Navigation for TKR Services, please contact us today to schedule an appointment!